Please accept my blessings. I am so glad to receive your letter dated December 17, 1969 with enclosure of $15, for which I thank you very much. You have signed your name as Krishna das naradhama, but actually, one who is Krishna das is Narottama. But a Krishna das can deliver all naradhamas. I am always very much pleased with your humble attitude, and a Vaisnava devotee of Lord Caitanya always thinks himself as naradhama, the lowest of mankind; although he is narottama, the best of the mankind. Tamala is there in London, and I have advised him to go occasionally to the German center and see things are very nicely managed. 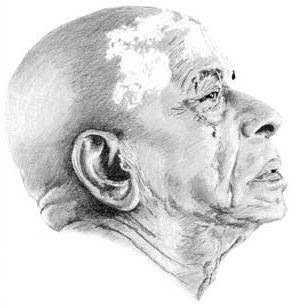 Now the Krishna Consciousness Movement is given to you, some selected European and American boys and girls. Please try to maintain it heart and soul with faith in Krishna, and your life will be successful. I am an old man and I may shift away from the scene at any moment; but I am very much hopeful of my disciples who are so sincerely helping me. This movement is greatly needed for the human society, so we are not working like any political party, but we are trying to execute the Will of the Supreme Lord. Still I shall insist upon you that Sankirtana is our life and soul, and Lord Caitanya has given us order to glorify this Sankirtana Movement. So do it happily, and other things automatically will come to our help. I am confident that yourself, Jaya Govinda, Mandali Bhadra and Sivananda, assisted by Tamala Krishna, can do tremendous work in this movement, specifically in Germany. I learned that the draft board wants you in the USA, so you can now forget about this country and concentrate your whole energy in Germany. I think Krishna wants this. Simply propagate this chanting, dancing, feasting and following the regulative principles. These are the four pillars of our success. Regarding the jewels for my Deities, I shall in due course send you the size and whatever other information you require. Regarding purchasing things in the market, these items are considered as purified when we pay the price for them. That is the general instruction, but when we know something is adulterated, we should avoid it. But unknowingly if something is purchased, that is not our fault. Things which are suspicious, however, should be avoided. It is for this reason that in our Vedic culture the people used to keep a number of cows without any expenditure, and the milk drawn out of them was utilized for so many purposes, very, very useful in life. Lord Krishna in His early Childhood life is the vivid example of this way of social life.